Ongoing Crisis Communication: Planning, Managing, and Responding provides an integrated and multi-disciplinary approach to the entire crisis communication process. 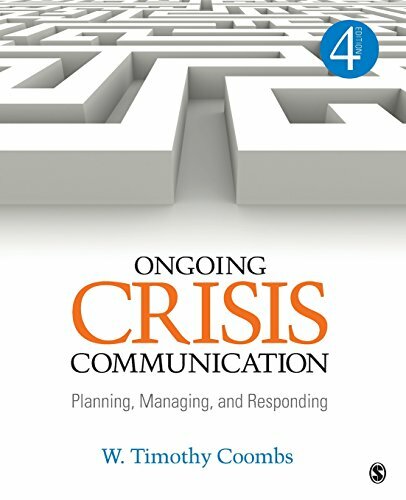 Drawing on his extensive firsthand experience, Dr. Timothy Coombs uses a three-staged approach to crisis management (pre-crisis, crisis, and post-crisis), explains how crisis management can prevent or reduce the threats of a crisis, and provides guidelines for how best to act and react in an emergency situation. The book includes new coverage of social media, social networking sites, and terrorist threats while drawing from recent works in management, public relations, organizational psychology, marketing, organizational communication, and computer-mediated communication research.